Seldom can tragedy be traced back to a single point of origin—a crucial, fatal error. Calamity usually contains a devastating succession of failures perceptible only in hindsight. So, too, do the consequences of human systems most often come from a confluence of crisis rather than from a single bad actor. And every so often, the terrible points coalesce as a screaming chorus that can no longer be ignored. 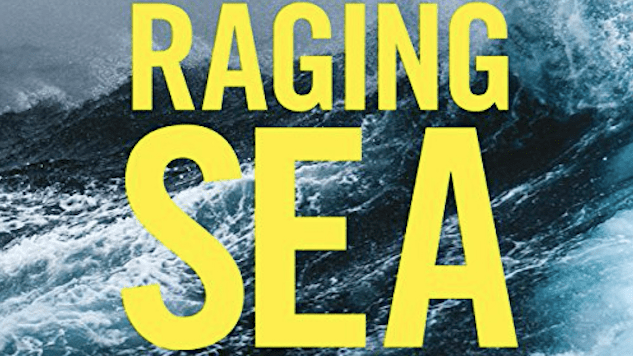 Rachel Slade’s Into the Raging Sea: Thirty-Three Mariners, One Megastorm, and the Sinking of El Faro is an exhaustive account of what happens when tragedy claims a vicious price for our progress and greed. The mariners whose lives were lost by the sinking of the American container ship found themselves whipsawed by two of the most powerful forces on earth: commerce and nature. With such powers aligned against them, what chance did they have? In the witch’s cauldron that is the Caribbean undergoing climate change, 2015’s Hurricane Joaquin slaked its thirst for warmth and turned into the most powerful October storm to rake the Bahamas since 1866. In its irrational movements and 135-mile per hour winds, sitting in the shockingly low pressure of its eye, Joaquin contained within it the fearful cost of accrued hubris. In that moment, it was the only natural force on earth as formidable as humanity’s drive. It would be easy to blame Hurricane Joaquin for El Faro’s loss. Or the ship’s captain. Or the woefully inept support staff on shore. Or the crushing economic pressures that led to good people being fired and old ships staying unsafe in the name of making money. In reality, it was all of those things exacerbated and combined that plunged El Faro into the sea in the worst American maritime disaster in decades. Slade’s book is a chance to name—via unprecedented firsthand sourcing from the ship’s accident recorder, its black box—and call to the fore the forces that robbed these mariners of their lives, a cry that should be heeded by anyone who cares about a fellow human. The El Faro tragedy may have been unique in American shipping, but its end result was not. Around the world, poorly regulated and trained crews desperate for the money, opportunity and escape life at sea offers are similarly sacrificed to the great gods Ocean and Profit. Into the Raging Sea serves as the tragic black box to a disaster that reaches far beyond the 33 and the people who knew them, beyond the shipping lanes and atmospheric science stations, the boardrooms and Coast Guard helicopters, the ever-warmer seas and the ever-angrier storms they sit gravid with in revenge. It is a testament to the failings of our current machinations—the El Faro a snuffed light in the darkness.